I know I am coming with a Fall recipe in Spring, but this was made during Fall. It just sat in the drafts folder waiting for an opportunity to come and see the world outside. The cake is special in more than one ways. This was made with a pumpkin picked from a farm by our friends. I pressure cooked, mashed and measured it to make this cake. It was for a Halloween get together. And the cake here is a second trial. I may make a lot of mistakes when I cook, but when it comes to baking, especially cakes, my mistakes are kind of minimal. Its been ages since I have had a cake fail on me, so it was quite startling when the first trial fell apart right in front of my eyes. I had used a bundt pan and neglected to grease it properly. The cake came out of the pan in pieces. So this cake was put together in a hurry with whatever that was leftover in the pantry. That would explain the rough finish, whole wheat in the cake and mobile photos (except the top one). As it was to be expected, the cake was a bit dense, but the taste was amazing. I always feel that whole wheat pairs beautifully with fruit or veggie in a bake. This post is part of Blogging Marathon #64. Check out this page to see what other participating bloggers have come up for this edition. 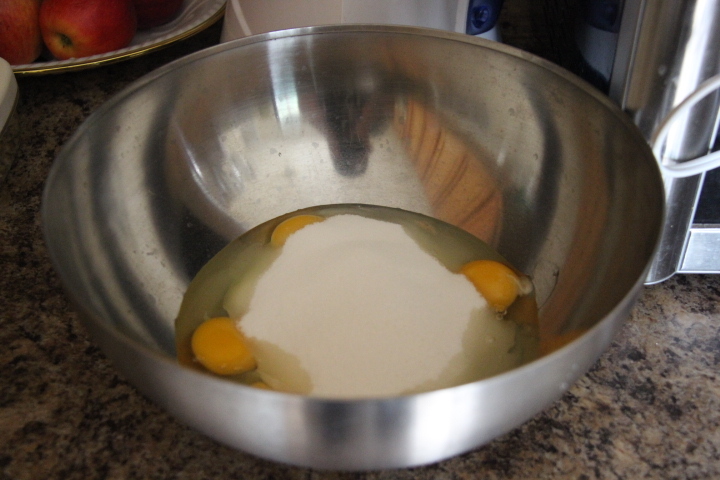 In a big mixing bowl, beat 4 eggs and 1 3/4 cups sugar with a hand mixer. Add 1 cup neutral (odorless) oil and 2 cups (or a 15 ounce can) pumpkin puree. I used pressure cooked and mashed pumpkin. Beat it in. Add 2 teaspoons baking powder, 1 teaspoon baking soda, pinch salt and 1 teaspoon ground cinnamon. Make it 2 teaspoons if you like cinnamon. Blend again until no lumps remain. 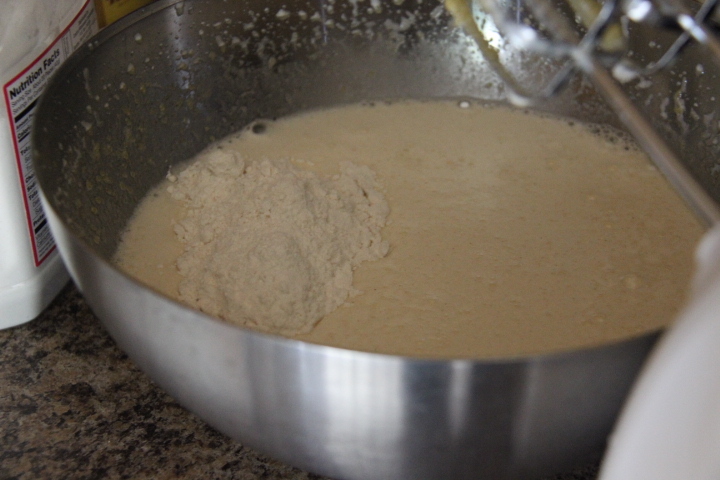 Add 2 1/4 cups wheat flour (or plain flour) in 2-3 batches, whisking it in until no lumps remain. Do not over mix. 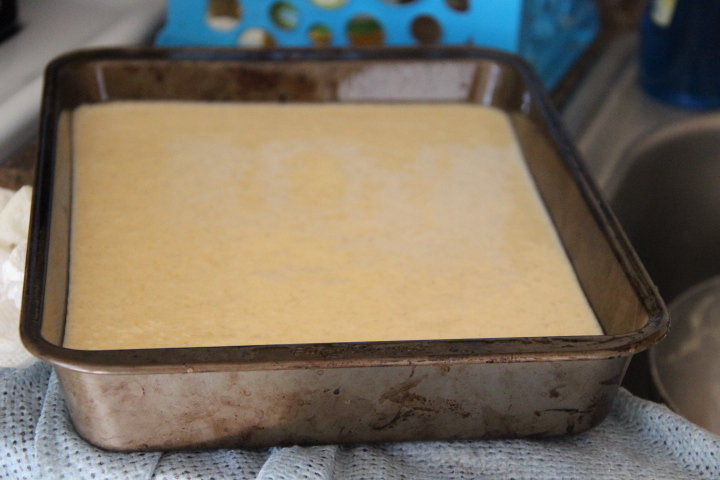 Transfer the batter to a greased 9″ X 13″ pan. Bake in a preheated oven at 350F/180C until a skewer inserted in the middle of the cake comes free of crumbs, about 45-55 minutes. Decorate as you wish. Here I have gone in for ready made cream cheese frosting. Fondant leaves, fondant pumpkins with cloves as stems and rock chocolate as fence for decorating the cake :D.
In a big mixing bowl, beat 4 eggs and 1 3/4 cups sugar with a hand mixer. Add 1 cup neutral (odorless) oil and 2 cups (or a 15 ounce can) pumpkin puree. I used pressure cooked and mashed pumpkin. Beat it in. Add 2 1/4 cups wheat flour (or plain flour). 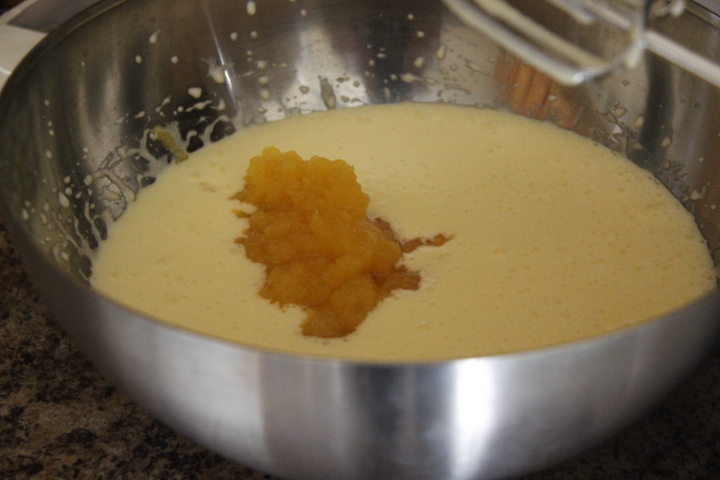 Whisk it in until no lumps remain. Do not over mix. 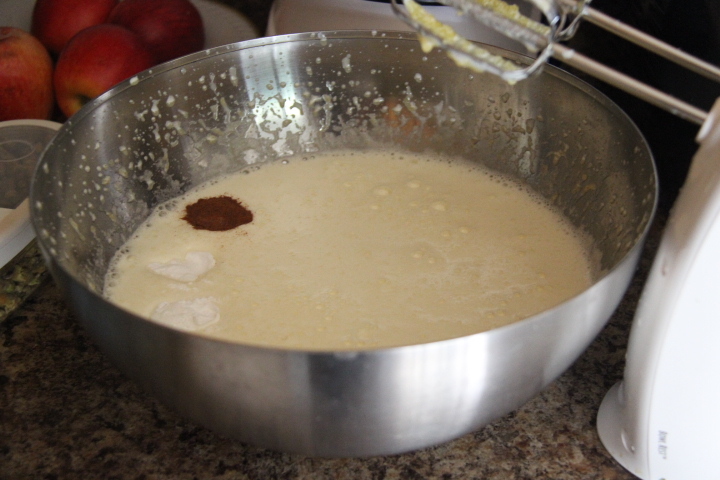 Transfer the batter to a well greased 9″ X 13″ pan. Bake in a preheated oven at 350F/180C until a skewer inserted in the middle of the cake comes free of crumbs, about 45-55 minutes. Decorate as you wish. Here I have gone in for ready made cream cheese frosting. Fondant leaves, fondant pumpkins with cloves as stems and rock chocolate as fence for decorating the cake :D.
Nice cake. Love the little pumpkins on the top. Those pumpkins on top is the highlight Rajani..I am yet to try with pumpkin in cake…have some linedup..and seeing you made with wheat, must try this as well! Too cute and very pretty cake, and love those cute lil pumpkins on the top, too gorgeous to cut the cake. 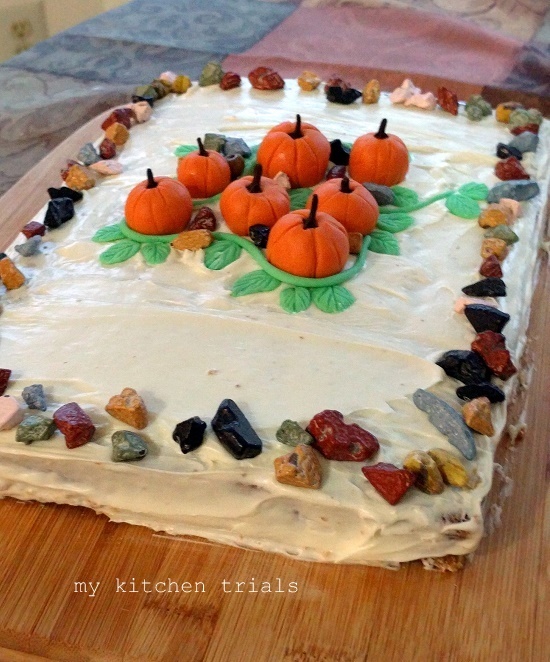 Wow, i want to have a super big slice of this ultimate cake, those cute pumpkins looks fantastic. Wow those are real cool pictures Rajani , love your cakes man , wish i could come up with such treats . 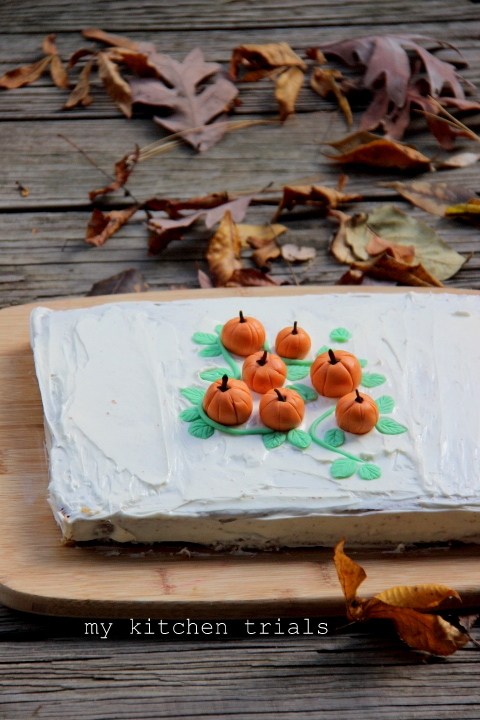 The cake looks very nice with those tiny pumpkins on top..
Love the pumpkin spiced cakes during fall. You have decorated the cake so well.